Finally! A foam gasketing tape designed specifically for loudspeakers! 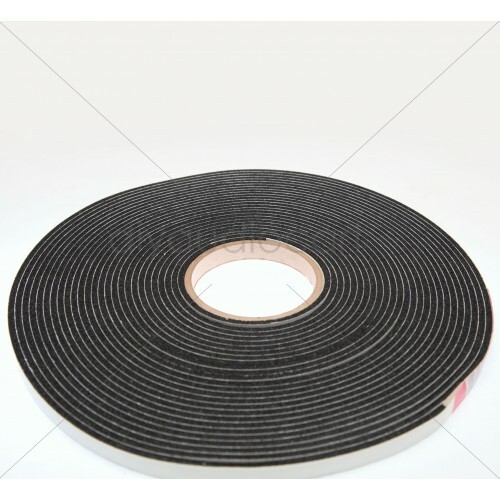 This specially designed foam tape is excellent for making an airtight seal around drivers, terminals, handles, horn lenses, or any other item that needs installed in your cabinet! The closed cell PVC foam is a dark charcoal color that eliminates unsightly bright-colored seams, while the high-tack adhesive aggressively sticks to all speaker frames-- unlike the "gray stuff" from your hardware store. The 12mm width and 3mm thick gasket tape can be used on larger drivers.